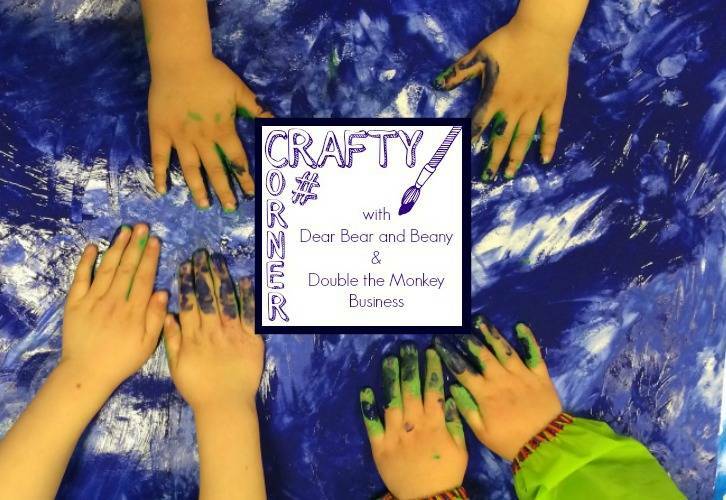 Welcome to the Crafty Corner linky, which I co-host with the lovely Yvonne from Double The Monkey Business. Thank you to everyone that joined us last month it was great to see so many wonderful crafts. This is going to be my last month of co-hosting #CraftyCorner with Yvonne. I’ve loved running #CraftyCorner and seeing everyone’s brilliant crafts, you are all very talented! But it’s time for me to move on. Yvonne is going to be taking a break from hosting #CraftyCorner as she moves back to the UK and there is a lot for her to do with her home. Thank you to everyone who has linked up, we really appreciate the support and I’m sure I will still see your posts popping up for me to read. My favourite post was from Surviving Life’s Hurdles and her Wacky and Wonderful Weaving for Kids. I love this idea, something I’ve not seen before and it’s great that you can be so random with it, perfect for kids. What is Crafty Corner all about? It’s a place for you to come and link up your craft posts. It doesn’t even have to be a craft for children, we would love to see some crafts that adults can do too. Crafty Corner is a monthly linky, giving you plenty of time to come and join us. It will open on the 1st of every month at 6am and it will close on the 20th of each month. Please visit and comment on one of Yvonne’s post’s and one of my post’s. Please use our hashtag #CraftyCorner when you comment so that we all know where you visited from. Once you link up we will add you to the monthly email reminder. We promise, no spam! Crafty Corner open’s on the 1st of every month at 6am and closes on the 20th of every month. Thank you for joining Yvonne and I, we can’t wait to see all your fabulous crafts.